MOHNTON – Dolfin Swimwear, renowned as the world’s best training suit manufacturer, will release the world’s first 4-Stage Framing System integrated in the latest advancement in competition swimwear – Titanium. Released today from the Dolfin global headquarters, the Titanium technology represents years of fabric development, fit refinement, and the relentless pursuit to fuse function with advanced fabrics. Built into four stages, Titanium’s integrated system provides leading fused fabric compression, streamline support, and lowers the overall drag coefficient. • Stage 1 – Welded Chassis: Long-axis control welding provides unmatched control to major muscle groups and stabilizes water displacement zones on the human form. Titanium provides the maximum allowed welding per 2015 FINA rules. • Stage 2 – Booster Shield Liner: Compression wrapping over larger muscle zones adds to the control initiated with the welded. 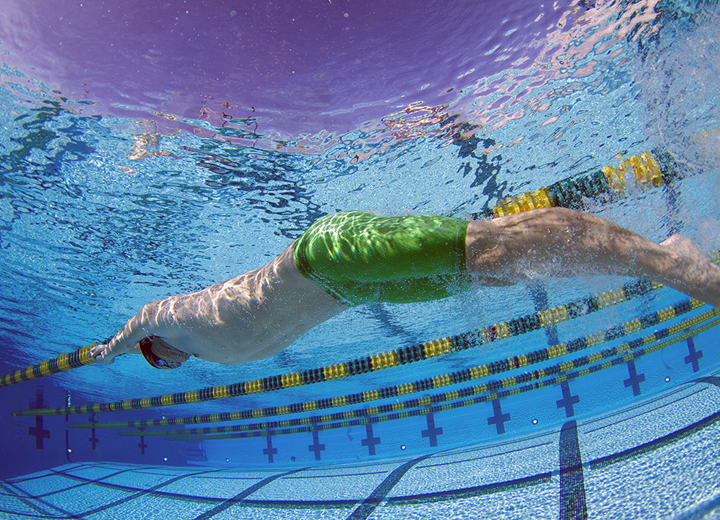 Muscle return and vibration reduction are achieved, while augmenting compression and streamlining. • Stage 3 – HydroLock Weave: A Dolfin exclusive, industry first 3D profile woven monofilament, provides uncompromised compression and the highest rated strength-to-weight ratio. HydroLock delivers maximum tensile strength across all directions of the human form, with a dramatically low-friction surface. • Stage 4 – Vapor Block: Each Titanium fiber is coached with a superhydrophobic application, decreasing water absorbency as well as drag. 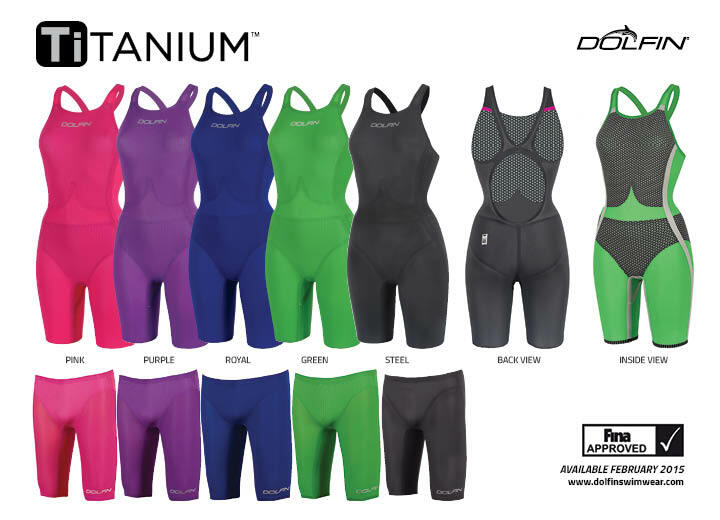 Dolfin Titanium will be available soon at select dealers and www.dolfinswimwear.com.